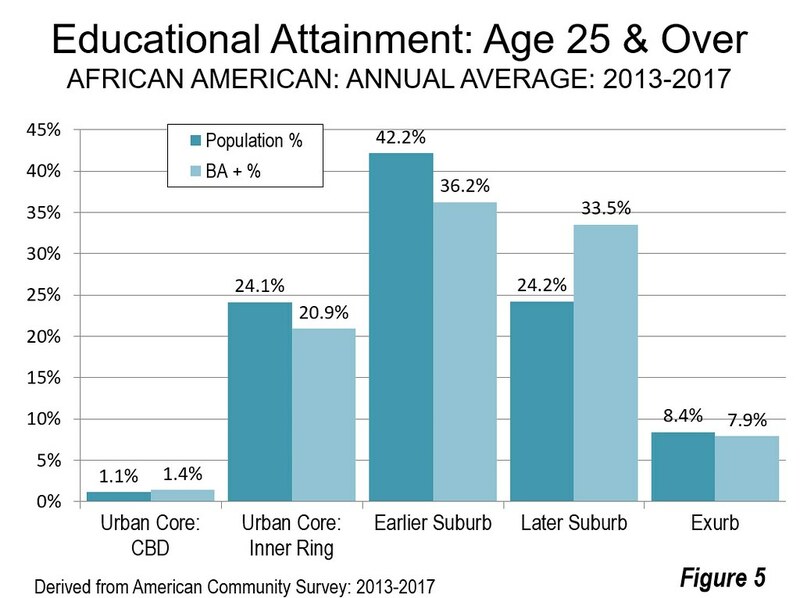 As Figure 8 shows, the total number of college graduates living in the suburbs from three to five times as high as in both of the urban core sectors (CBD and Inner Ring). 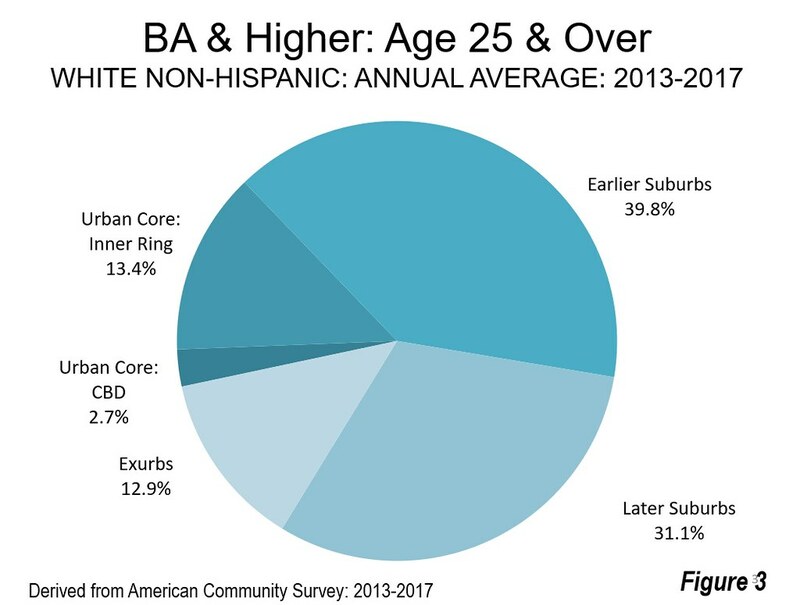 Overall, the college graduate figure in the Exurbs is nearly as high as the urban core, and is higher among White Not Hispanics. 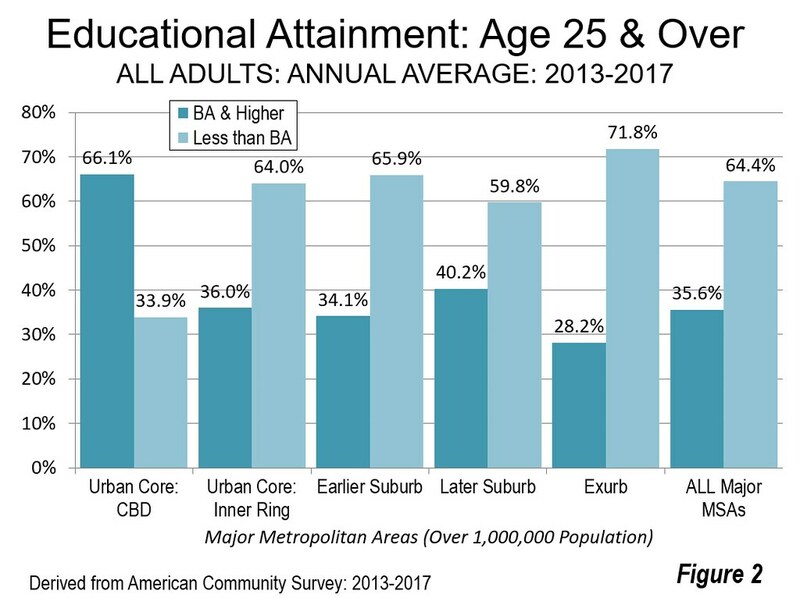 The popular narrative of college graduates living in urban cores, especially the CBDs, surrounded by materially less well educated suburbs and exurbs is misleading.They may be more concentrated in the core, but the overwhelming majority lives in the suburbs and exurbs. 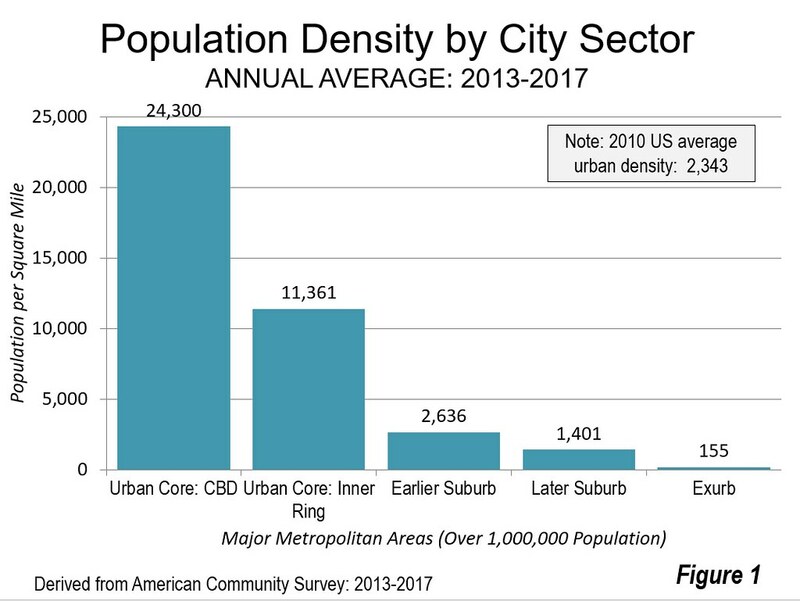 Note: The City Sector Model classifies small areas (ZIP codes, more formally, ZIP Code Tabulation Areas, or ZCTAs) in metropolitan areas in the nation based upon their function as urban cores, suburbs, or exurbs. 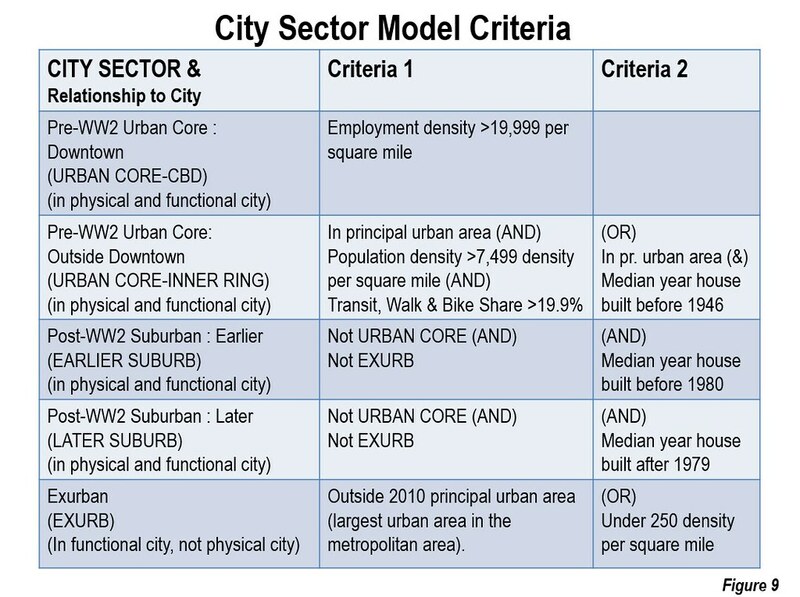 The criteria used are generally employment and population densities and the extent of transit use versus car use (Figure 5). The purpose of the urban core sectors is to replicate, to the best extent possible, the urban form as it existed before World War II, when urban densities were much higher and a far larger percentage of urban travel was on mass transit. The suburban sectors replicate the automobile-oriented suburbanization that began in the 1920s and escalated strongly following World War II. The suburban areas are largely within the continuous built-up urban areas, while the exurban areas are generally in the metropolitan areas, but outside the built-up urban areas.